Ducati Desmosedici Valve Clearance Service. All clearances were within specification..thankfully as its engine out if any require adjustment!. During 2013 we will be supporting 2 riders at the Manx Grand Prix both riding Steve Jordan tuned SV650's. At the 2012 we supported and tuned the first SV650 home in the main Supertwins race ridden by John Leigh Pemberton. In 2013 John will be back for the Manx and we will also be supporting Gabrielle Burne who rode as a newcommer in 2012. 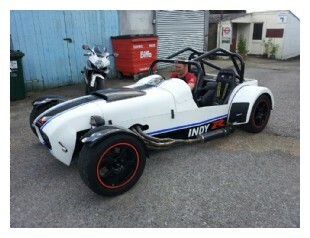 Customer contacted us to see if we would work on his kit car. Yes no problem, Steve loves working on something a little bit different and has worked on many motorcycle engined vehicles. This project was to supply, fit and setup a complete "Flatshifter" system. This is made up of a paddle quickshifter with auto blip. During the work we also supplied and fitted a new steering wheel, modified the exhaust hangers and pinned out the ecu which was still setup to run with the standard KIT CAR exhaust valve. If you have a kit car we can custom build new wiring looms, retaining the very important clutch switch which is present on fuel injected Suzuki's and sets the ignition timing for each gear when engaged on start up. This car had this switch looped out which meant it would always run a neutral gear ignition map loosing bhp and torque. We can also rebuild and tune your engine no matter what manufacturer made the engine to your budget and specifications. Talan approached us regarding building him a couple of SV650's for racing earlier this year. 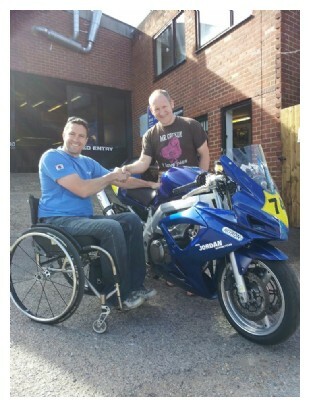 Talan is a paraplegic racer and runs the Bike Experience Charity http://tbex.co.uk/ which is setup to help disabled bikers get back into riding again. All Talan's bikes needed to be modified to run a flatshifter button shift system and K-Lever brake system as the gear shifting and rear brake control all have to be operated by hand. We also arranged all the paintwork, graphics to be carried out to his specific requirements. Upgraded the forks to our championship minitwin spec and supplied and fitted a Nitron race shock. Neil's pride and joy. 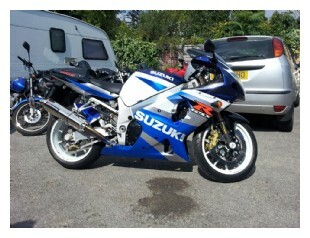 Making his already mint GSXR1000 very special. Marchesini wheels with Renthal chain and sprockets to suit. Full superbike spec engine build with lightened and balanced crank and stage 1 cams.